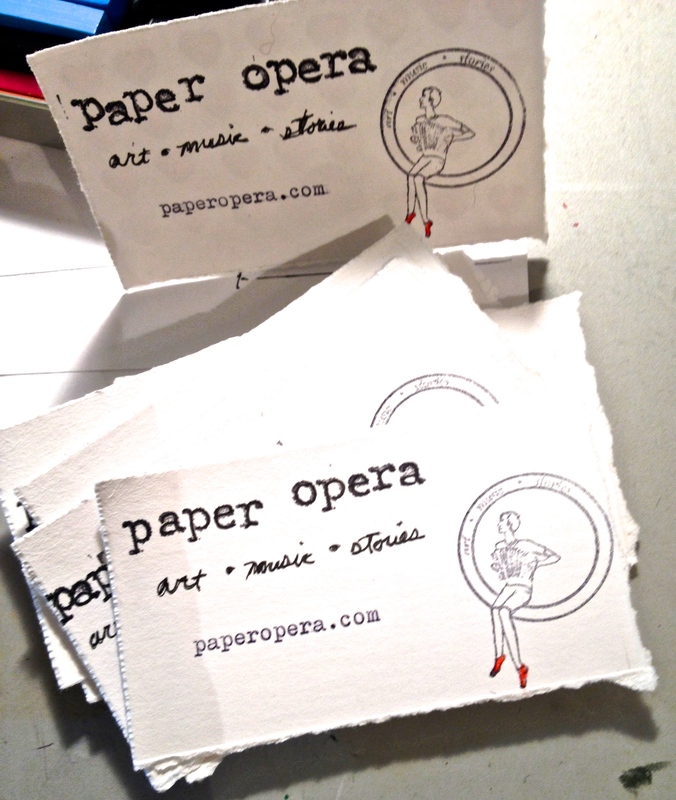 Once the Paper Opera website and logo was created, business cards seemed like the next step to make in this new business-like venture. 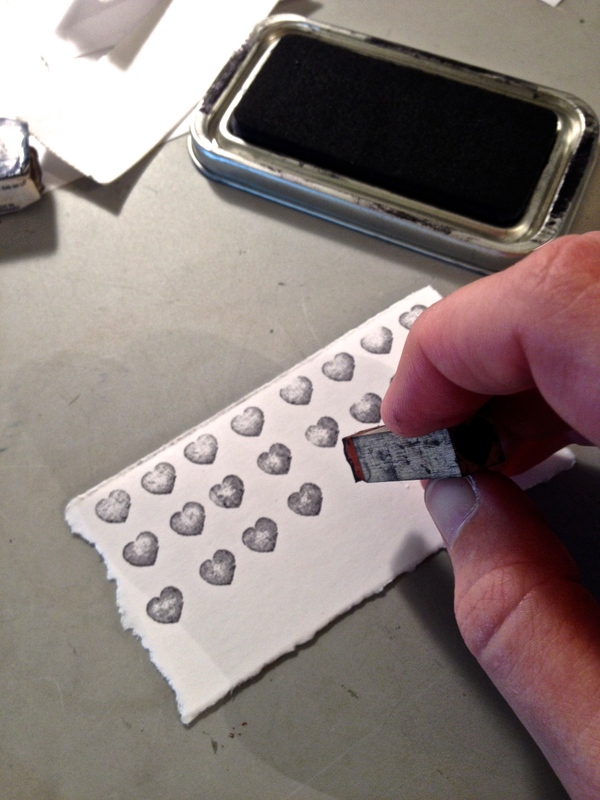 I had to change the design a bit for the image to work visually as a tiny stamp. 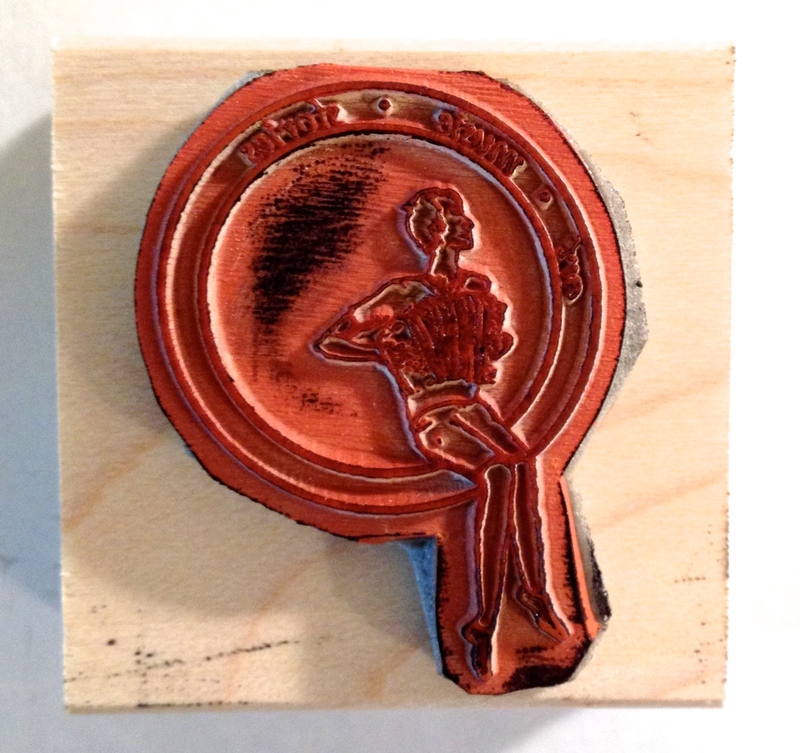 I used RubberStamps.net and paid $15.45 to get my image made into a 1.5″ x 1.5″ rubber stamp. 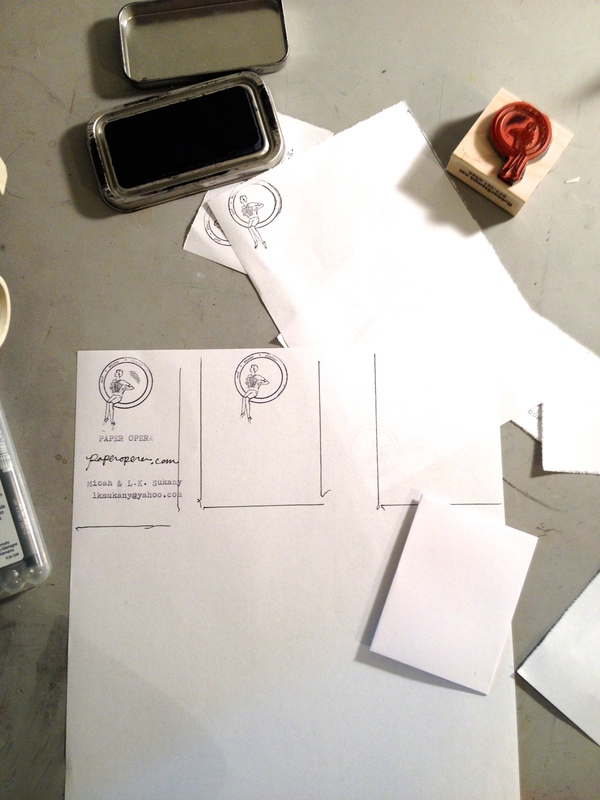 I created the business cards using hand torn paper, typing, and stamping. 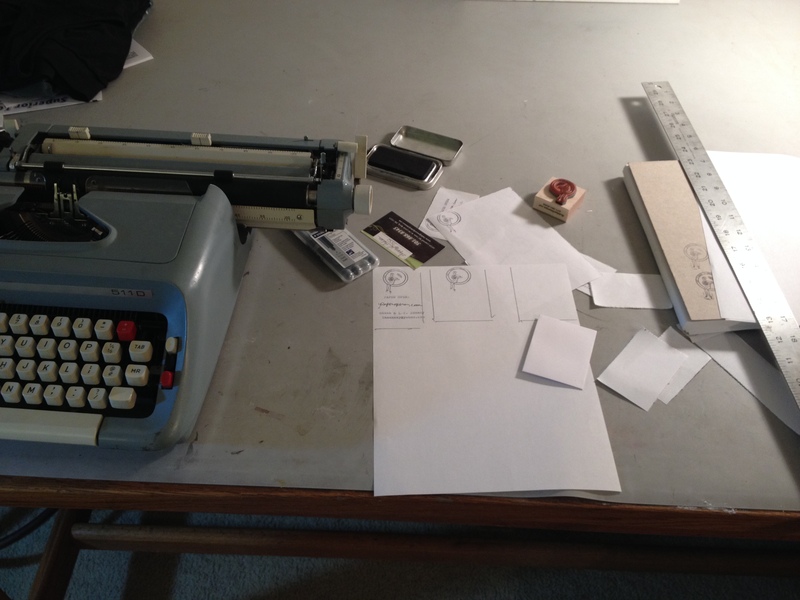 I first drafted the layout, stamped, and typed. 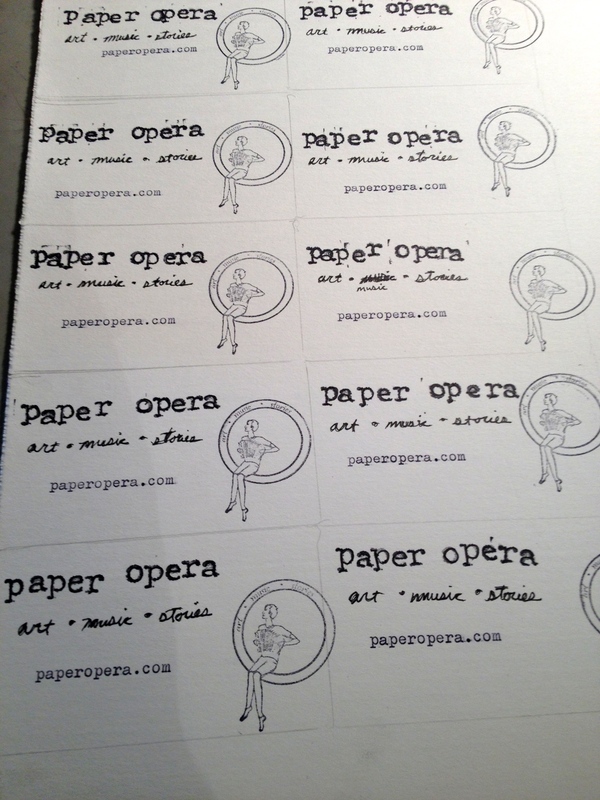 I wanted to include the business name (Paper Opera), the website (paperopera.com), and the tag line (art, music, stories). 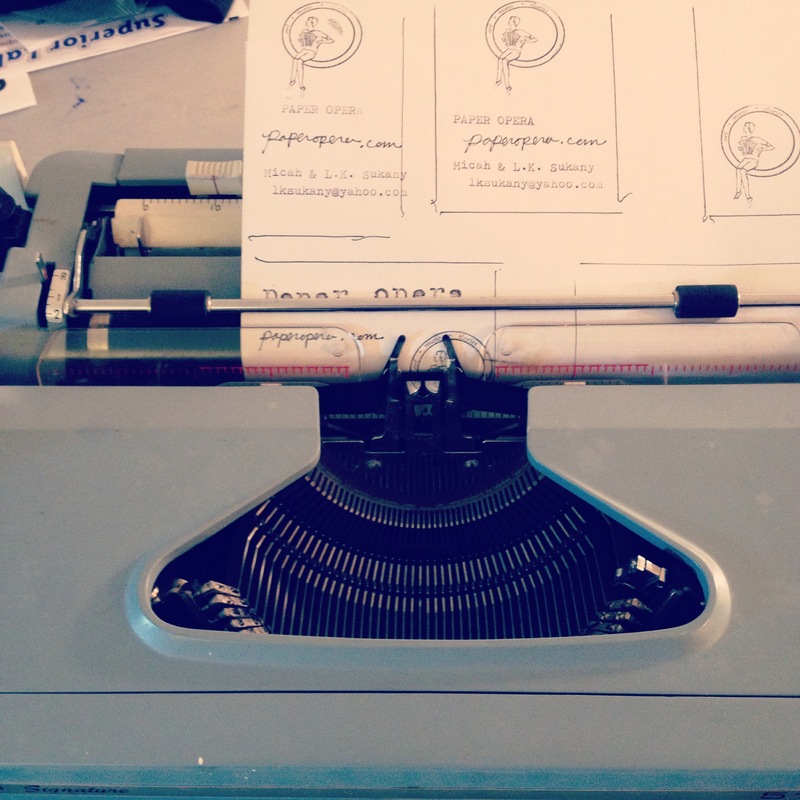 I tore the cards using the edge of my ruler and flattened using the weight of the metal typewriter. 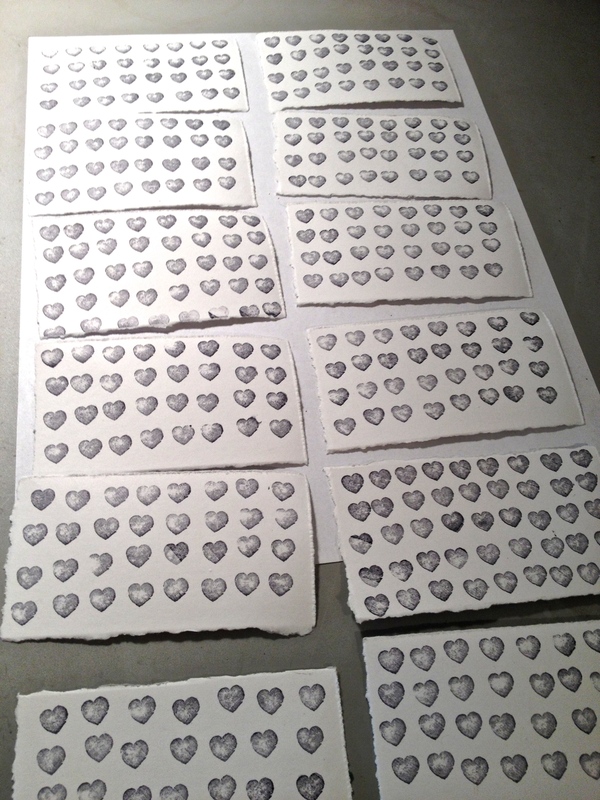 I hand stamped the backs of the cards using a small rubber heart stamp. 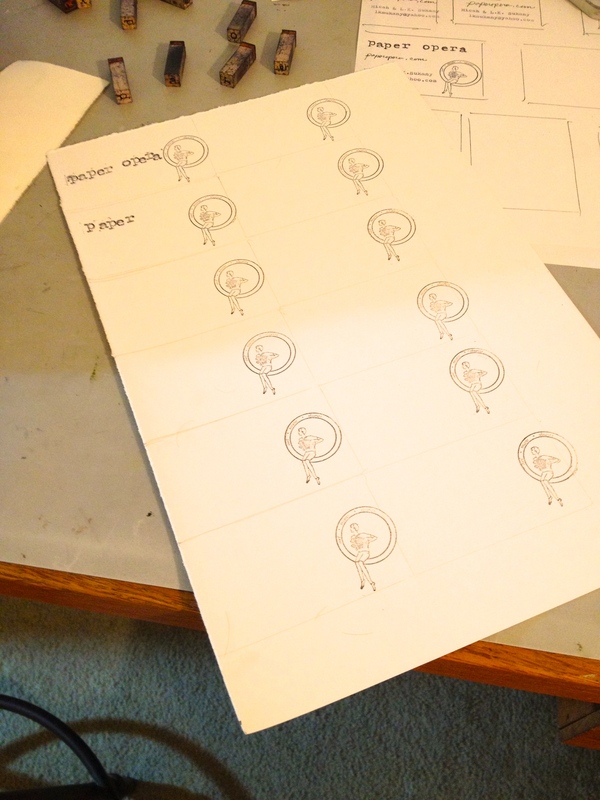 Now I had the front and back with the layout I wanted. 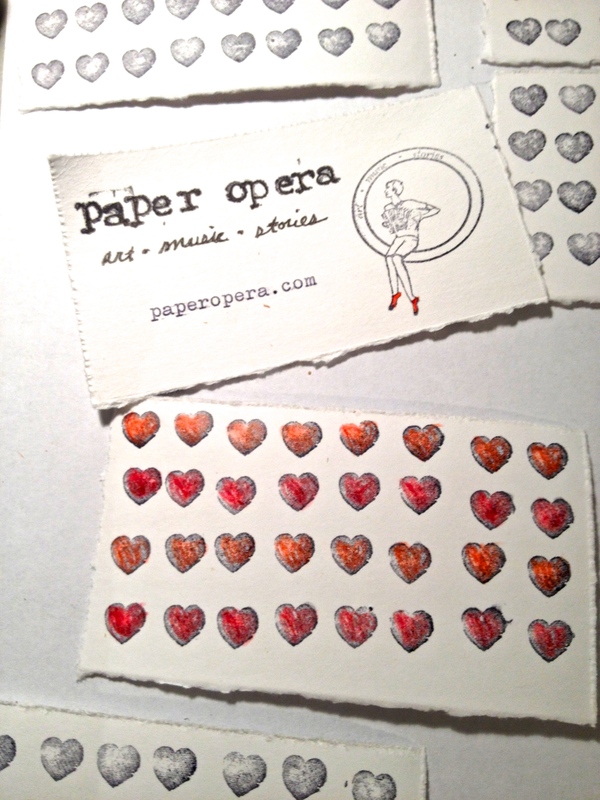 I still needed something “Paper Opera” about it – like a small detail that would be a little dramatic. I used the poppy red prismacolor pencil and on the front of the card, I colored in the man’s shoes. On the back, I colored in all of the heart stamps alternating each row using the crimson red and poppy red. I really enjoy creating small details like this. 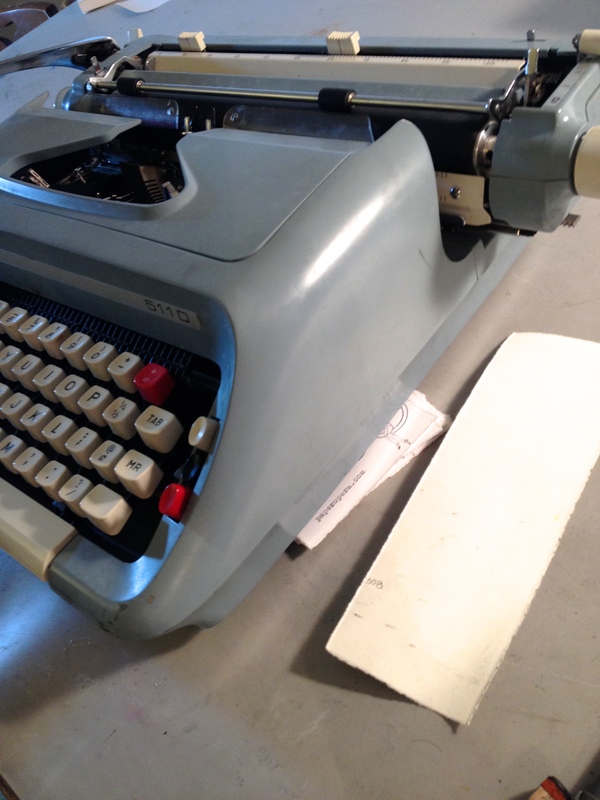 Once I came up with the name Paper Opera – which took a couple of years to define what the art, music, and writing that M and I were doing – I went ahead and purchased the domain name through Reg123. This was August 2012. I knew what I wanted the Paper Opera website to offer (full art gallery, audio and video space for the Damsels in Distress with purchasing options, ebook capabilities, a full shop, and a news or blog update area). After researching my options, the general pricing to build something this significant was about $5,000. With no money in my art account I decided to use the free options and connect them all through one location. ART: The art gallery I built in Wix in February 2014, and used the L.K. Sukany artist name. Although M will create an occasional painting, he doesn’t really work too much in the fine art medium. I wanted something professional, like an online portfolio. It took me applying for a job I really wanted to actually build the online portfolio. After not getting the job, I reworked it, and am still finding pieces I have not photographed to add. I am still not 100% satisfied with the artist site, and am open for suggestions. Music: For the Damsels in Distress site we went with Bandcamp in May 2014 because it was the easiest to understand and least complicated for others to use – anyone with internet access can use it. Because the free bandcamp doesn’t have video capabilities, we created a Paper Opera Youtube channel in May 2014 for videos. Stories: With the ebook/self publishing, Lulu was the most recommended and we opened an account in March 2014. We have many projects in the works on this front, so all I can say is “coming soon” for this feature. 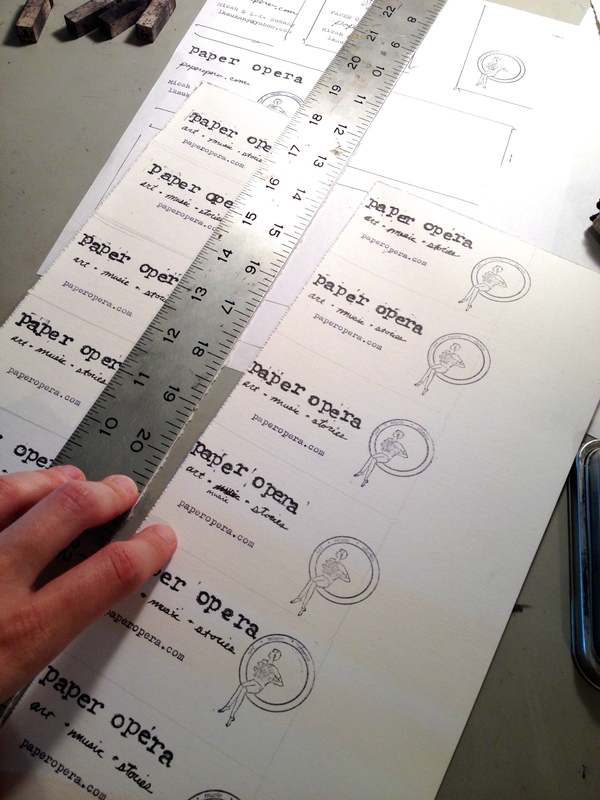 Shop: The Paper Opera shop is on Etsy and was started March 2014. 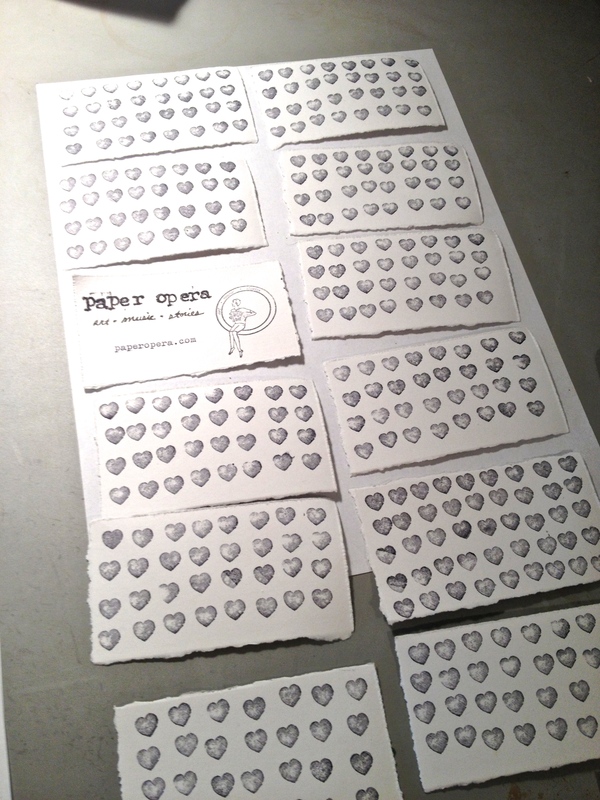 Paper Opera: All of these are linked from the artist website in Wix as well as the Paper Opera site in WordPress. We transferred the domain from Reg123 to WordPress in February 2014 because there was a better free interface. 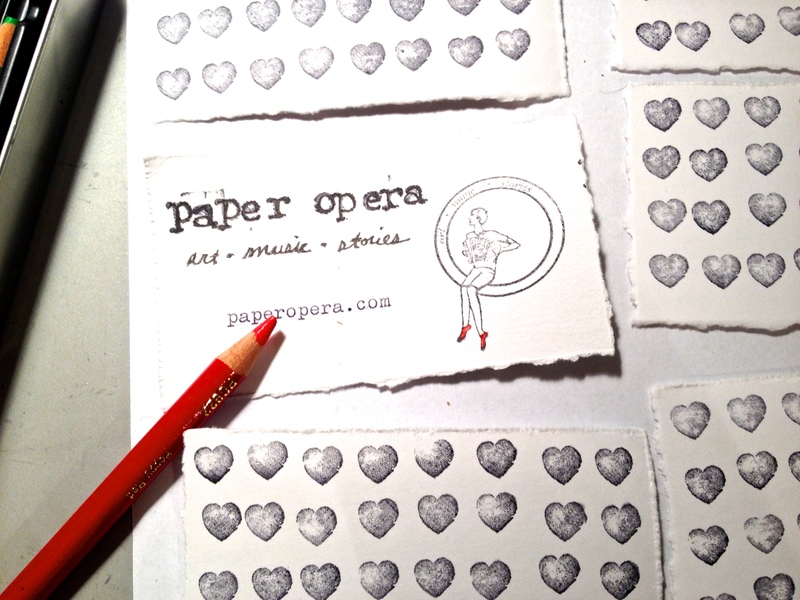 I wanted to design a logo for Paper Opera that had whimsical qualities and that would express the themes of art, music, and writing. I also wanted a design that would look good on the web (website banner) and in print (for business cards). I knew I wanted to have an instrument in the logo from the beginning. 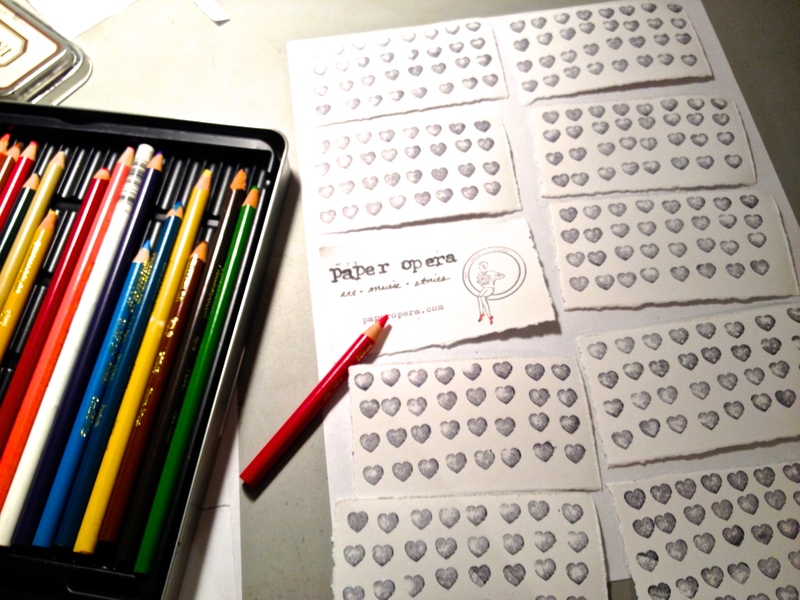 I played with the tamberine or drum using the “O” for “Opera” and working in the name “Paper Opera” somehow. It turned into a cello and paintbrush. But the only thing I could see the cello as was a woman’s body and then she was playing herself, and it just kind of got weird. So I transitioned from the cello to the accordion. 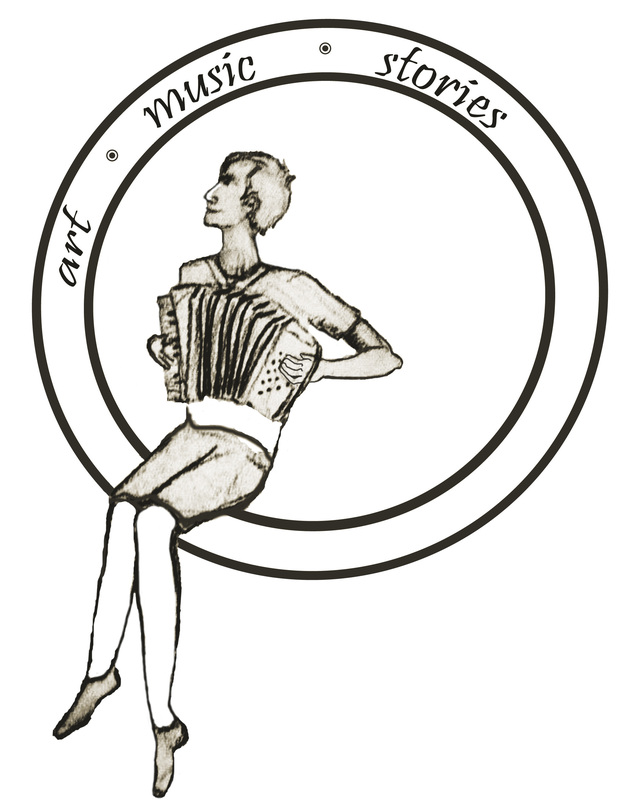 There is something so whimsical and quirky about the accordion. I started playing with the accordion buttons as maybe a paint palette. I designed this amalgamated object (accordion, paper, and a watercolor tray). It just didn’t work in portraying the playfulness I really wanted in the logo. It also seemed really stiff – the design did. 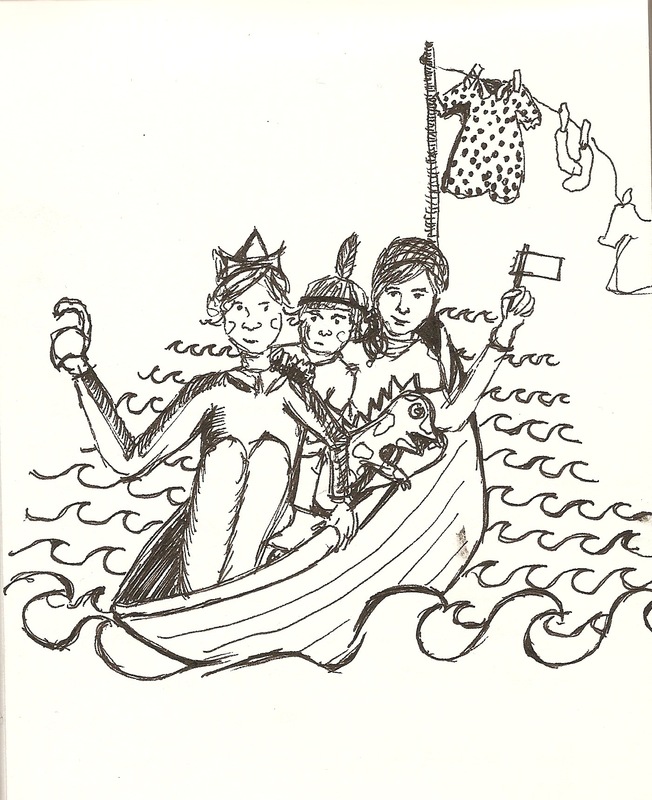 I thought about how whimsical my damsels drawings are and thought about using that approach. I took The “Dancer” and created this type of layered image with a circle to define the space and the accordion as a embellishment. 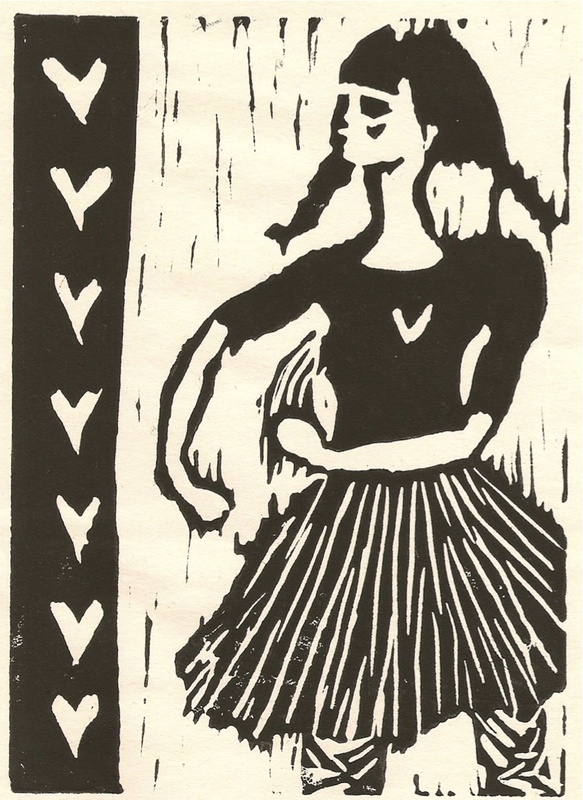 It just felt too forced, too clean, and I didn’t really want to use “The Dancer” for the paper opera logo. But I really liked the format of a figure in a circle and the logo words in the circle. 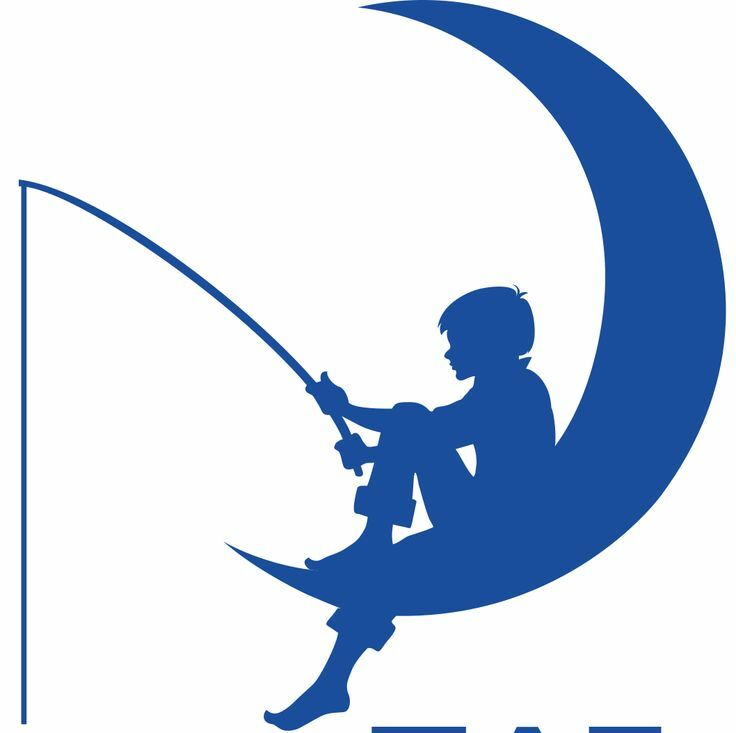 I thought about the Dreamworks logo of the boy sitting on the moon and fishing. 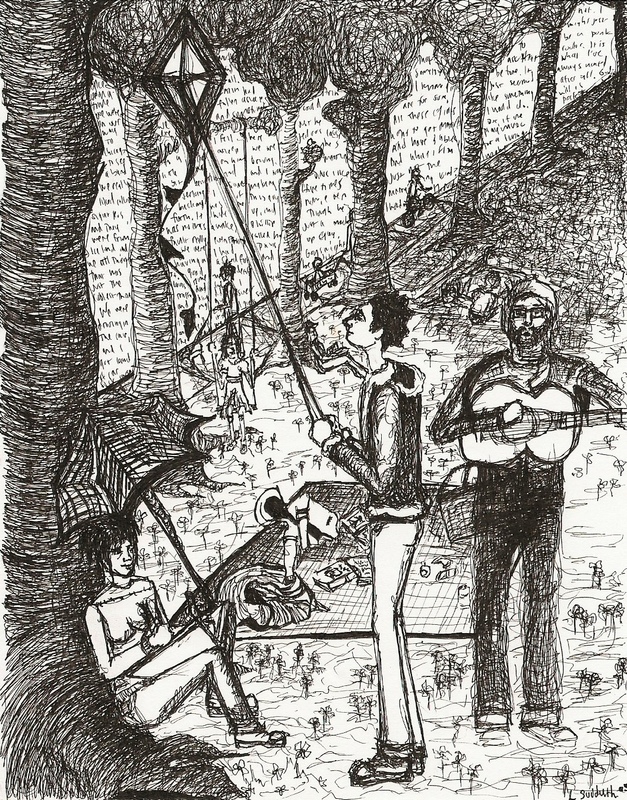 I really liked how the image evokes the idea of using imagination and has an element of being carefree. I wanted something similar to that idea. I thought about it for a while and made this sketch during a sermon at Grace Church. 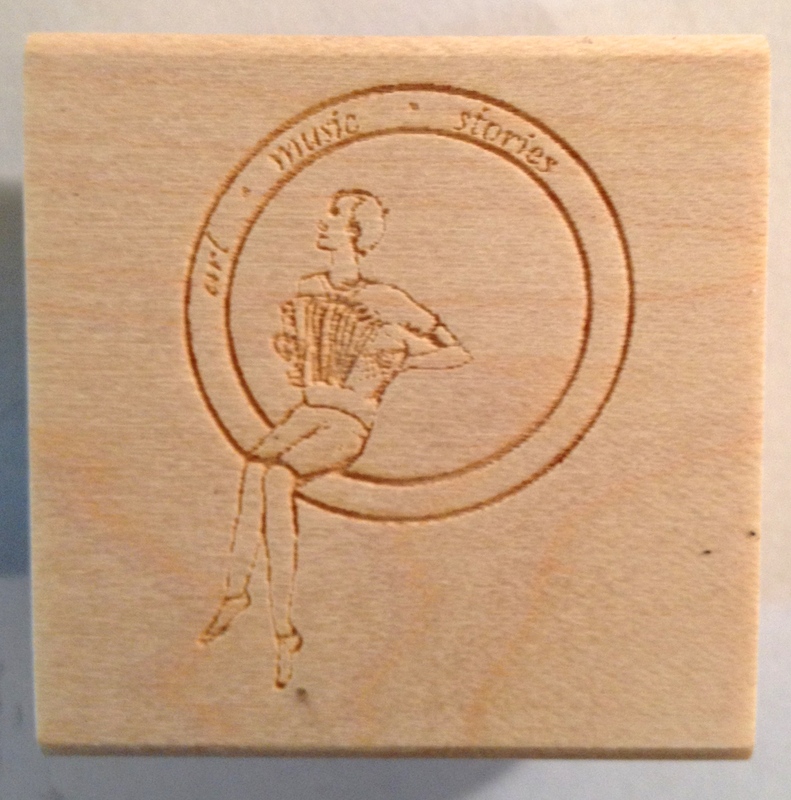 The boy playing the accordion and sitting in the circle as if it were a swing, and a girl dancing while simultaneously writing or drawing with a feather behind the circle. It just seemed too busy for a logo. I liked the bones, and decided this was something I could work with. 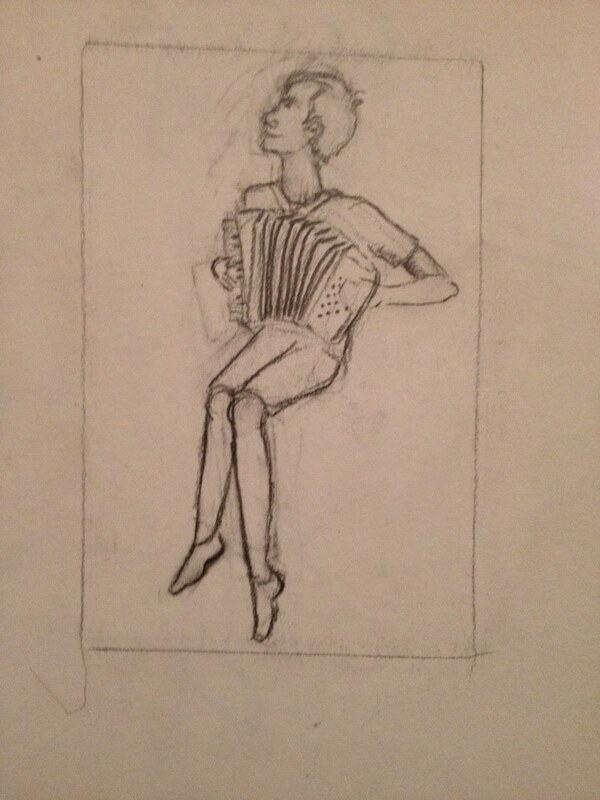 I drew M sitting on a bar stool playing the accordion. Once I had my drawing, I took a photo of it, and opened in Photoshop. I put a lot of texture effects, changed the figure a bit, and added the circle and key words – art, music, stories – within the logo. I admit, typography is not one of my strengths, but I like the look of cursive quite a bit, so that’s what I used for my text. 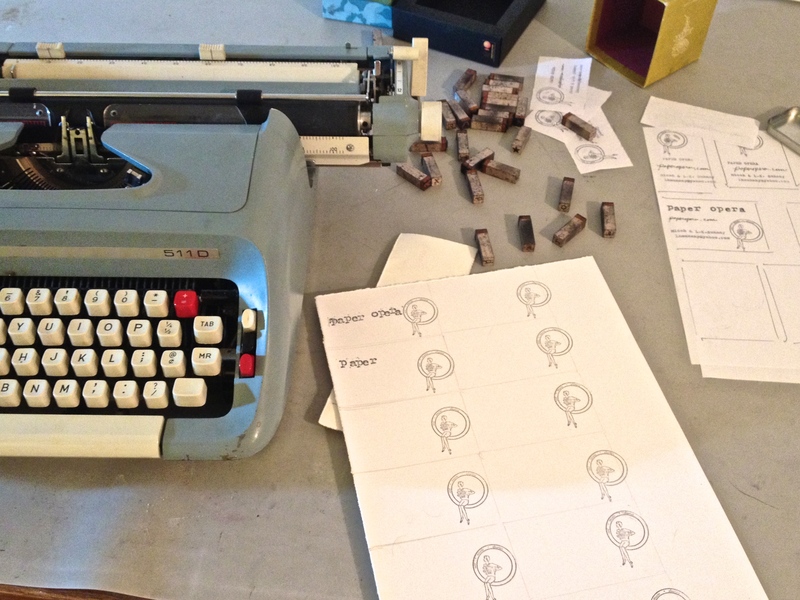 M and I have been doing Paper Opera the whole time we have known each other – over 8 years. It has been less defined and more abstract at times – sometimes floating around in our heads and our hearts – other times in a simple melody. 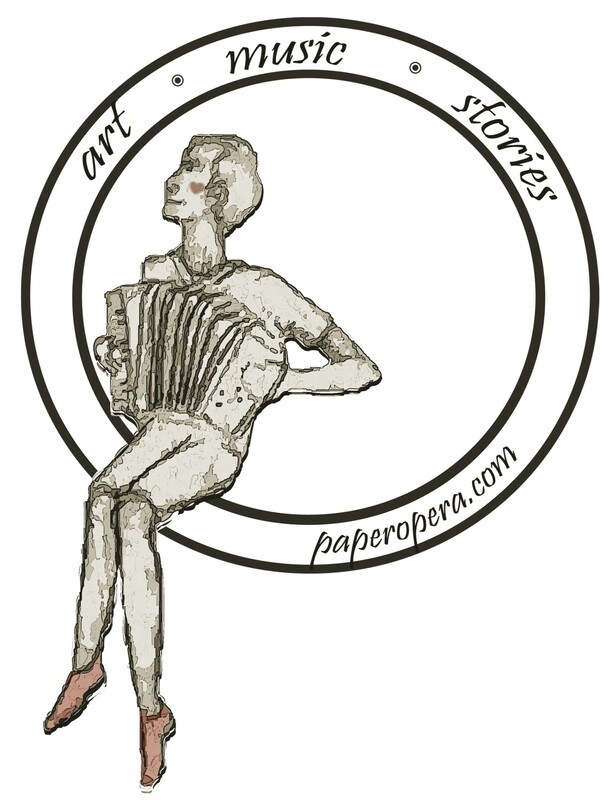 Paper Opera is the online version of our art, music, and stories that we can share with you!